Our primary teacher, Phala Ol, teaches our Cambodian students English language skits that they are perform for each other and for visitors, beginning in 2015. 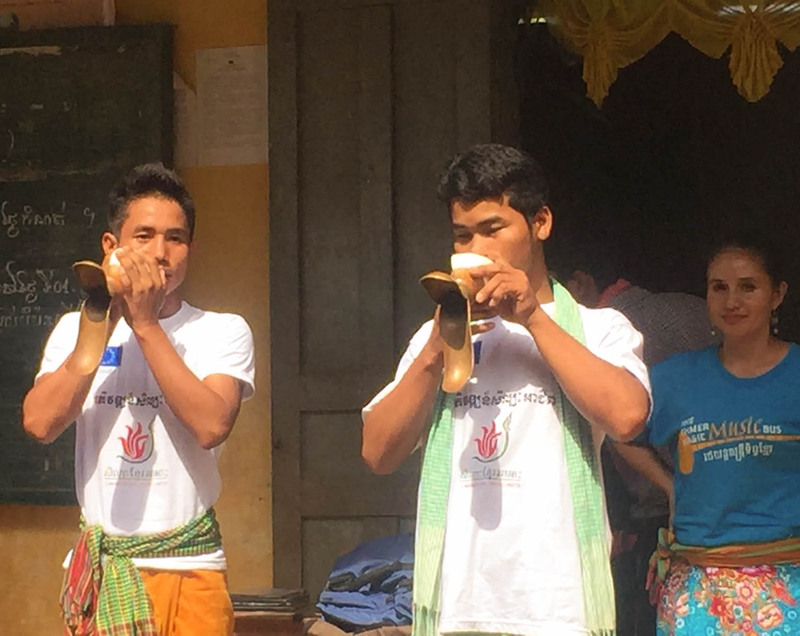 They also learn songs and enjoy performing them. Thanks to a generous donation, the Khmer Magic Music Bus (KMMB) offered a day of performances and outreach to our middle school students. The village elementary school is next door and also enjoyed this magical visit. 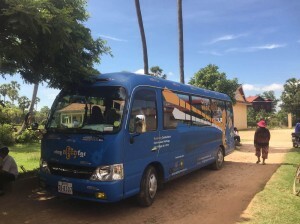 KMMB originated as a Cambodian Living Arts (CLA) program but has successfully grown into its own independent organization. It brings Khmer musicians and entertainers (many of them CLA trained) to rural audiences. 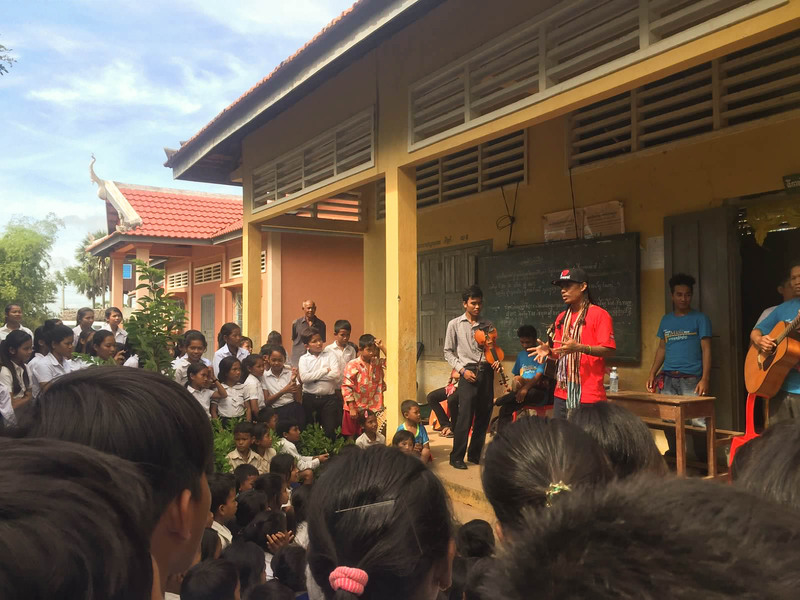 The students were treated to a wide repertoire, including court music, songs popularized by Sinn Sisamuth (a Cambodian rock star), folk music, musical improvisation and even Khmer slapstick. 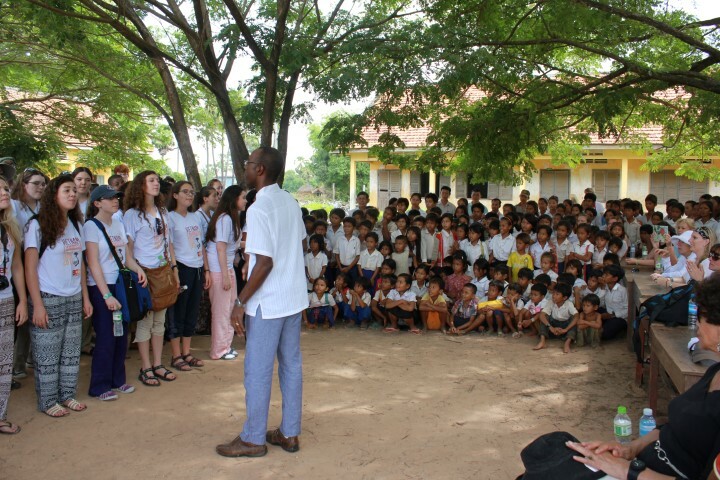 It was thrilling to see the school kids laughing, singing and dancing and experiencing the richness of Khmer culture. Particularly impressive was the Pin (pronounced Pbun). 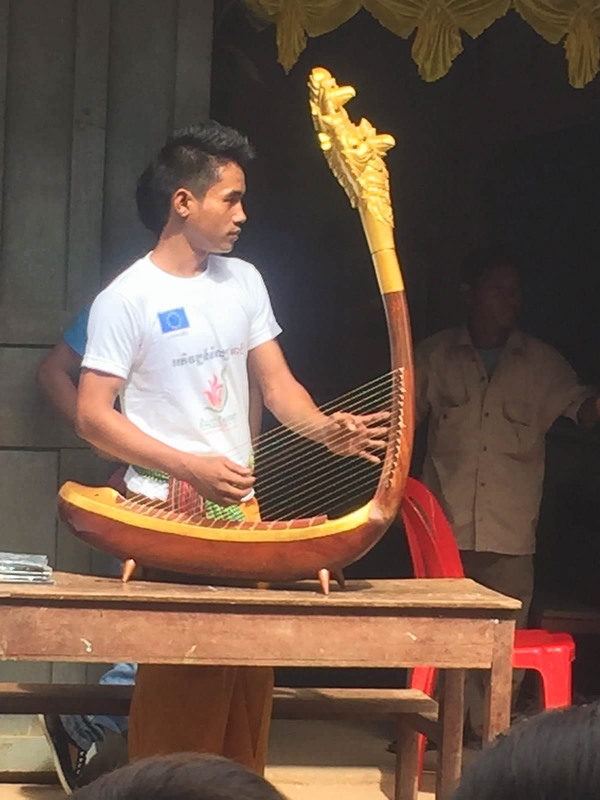 This beautiful Khmer harp depicted in the Angkor Wat bas-reliefs (and the CLA logo) was resurrected through a cooperation between researchers and CLA artists. After an absence of decades, it is now being performed again. The Boston Children’s Choir visited our school and sang for the students. 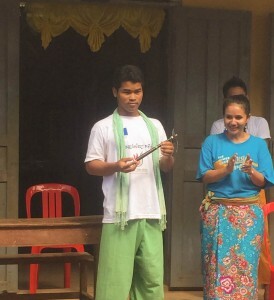 Our Cambodian students sang songs for them as well. Click here to learn more about the BCC visit.